Wayward wives and warrior queens alongside wild women of the west and amorous artists and amazing adventuresses are the fodder for this book of “herstory.” Elizabeth Mahon took her notable blog and put it into book-form. 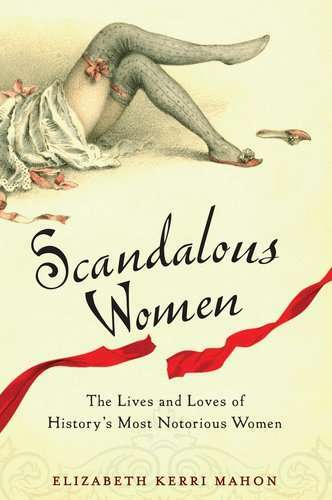 In this book, “Scandalous Women: the lives and loves of history’s most notorious women,” she writes in an accessible manner that tells the stories of Anne Boleyn to Anna Leonowens. Publisher’s Weekly calls this volume a “Feminist History for Dummies” as it covers the lives of well-known women and generally lesser-known females like Carry Nation who was president of the Women’s Christian Temperance Union in 1900 and busted bars to bits with an axe and called others to do the same. As mentioned, a chapter in Mahon’s book retells the story of Anna Leonowens. Some of Leonowens’ writings are housed in the Kenneth and Margaret Landon Papers at Wheaton College.